The Charleston Gazette-Mail reported Wednesday that the Secretary of State's Office had processed about 4,000 signatures, of which 45 percent were Democrats, 24 percent were Republicans and 27 percent were unaffiliated or from minor parties. Blankenship's campaign submitted 11,468 signatures. He needs 6,536 to qualify. He wants to reverse a decision barring him from running under a law the state's "sore loser law," which prohibits unsuccessful major party primary candidates from switching parties. Blankenship told the newspaper that he's not surprised by the data. He said most signatures were gathered in Democratic areas of the state and show support of a U.S. citizen's right to run for office, not necessarily him as a candidate. "I think they're signing it because they think that it's proper that people who want to be on the ballot are on the ballot, and the fact that the Republican Party's process didn't put me on the ballot doesn't mean that an American shouldn't be on the ballot," he said. "I don't think it means they're not supporting me or they are supporting me." Blankenship said he plans to file a lawsuit to challenge Secretary of State Mac Warner's denial of his candidacy application. He wants to appear on the November ballot with Republican Patrick Morrisey and incumbent Democratic Sen. Joe Manchin. Grant Herring, a spokesman for Manchin's re-election campaign, brushed aside the data, saying they will run a strong campaign whether or not Blankenship is on the ballot. 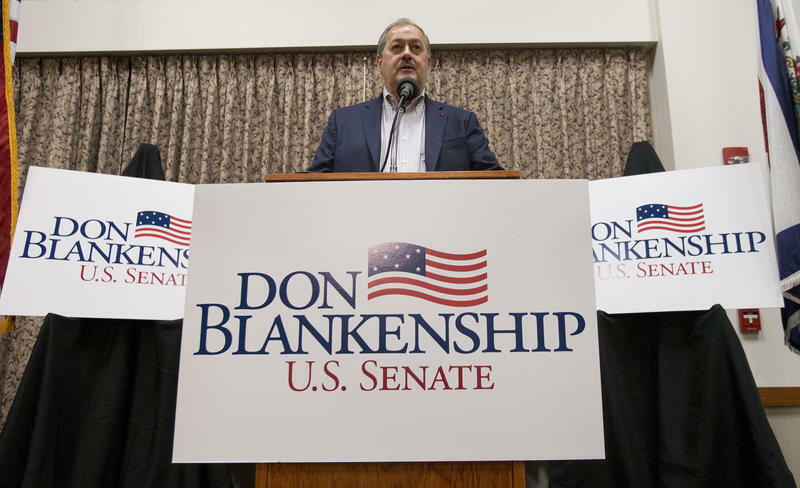 Democratic Party Chairwoman Belinda Biafore also declined to comment, though she said through a spokesman that the party has not directed any support toward Blankenship. "Anyone who understands what our party is all about understands that we would never ask anyone to support Don Blankenship to have his name appear on the ballot in the general election," she said.